Mid-October! How is this possible?! 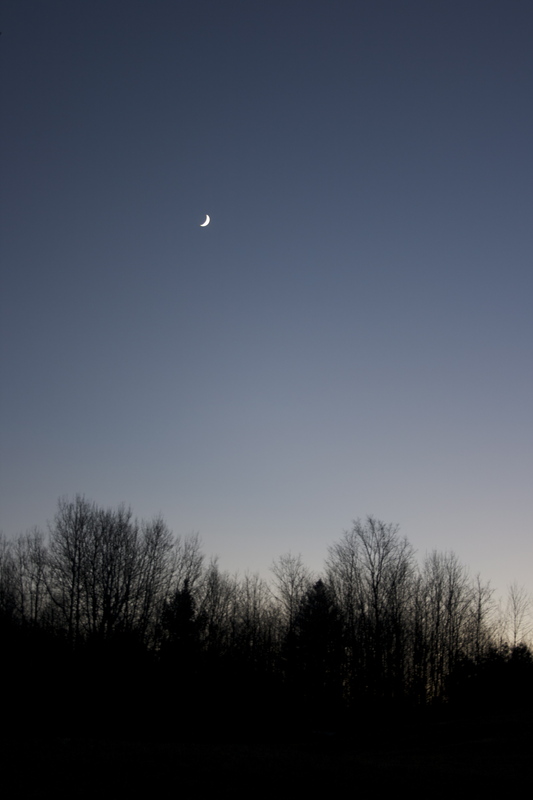 It seems just a few weeks ago that Edith and I made our full-time move to Vermont . . . but in fact almost four months have passed. Now winter is just around the corner. We’ve been so busy over the past several weeks that I haven’t posted a single entry here. Even now we’re engrossed in the mid-fall effort to complete several outdoor projects, put the gardens to bed, finish stockpiling firewood, and do all the other tasks we have to do before the weather turns cold. So, rather than write anything detailed, I’m going to offer a scattering of autumn postcards and semi-sorta-kinda random remarks. The view from Hyland Hill. 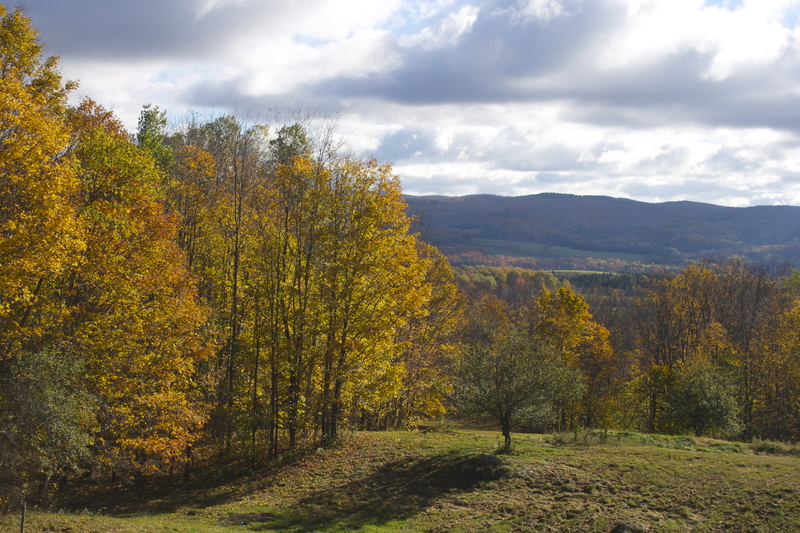 The foliage peaked by October 7th, but even post-peak the leaves could give Fort Knox a little competition. 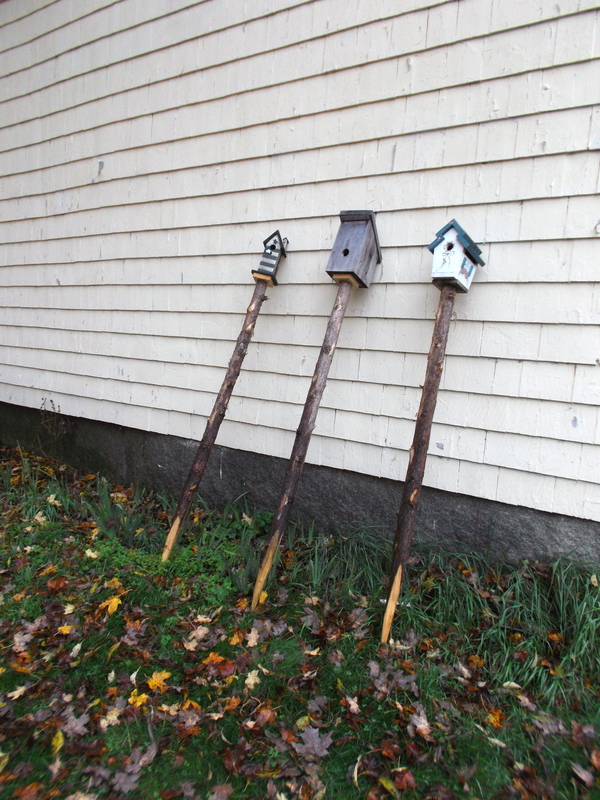 Next year’s birdhouses . . . painted, mounted, and ready to install in the meadow. The Tunbridge World’s [seriously!] 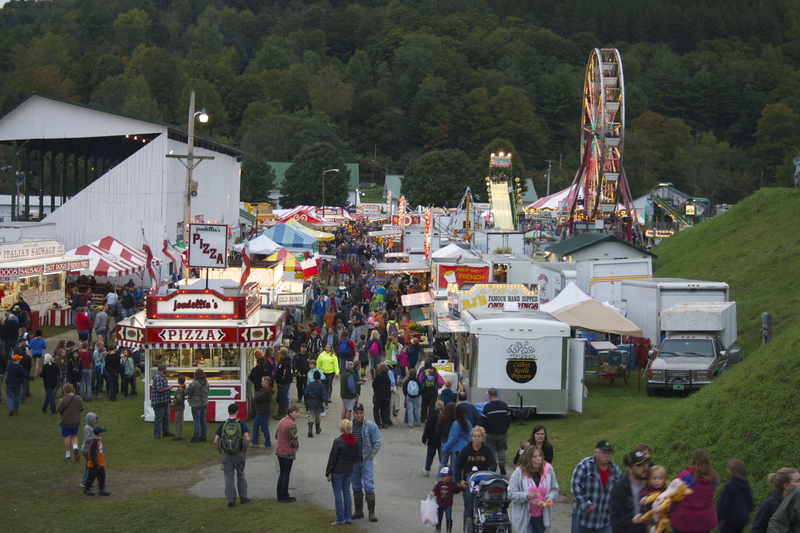 Fair––an annual event in central Vermont since 1867. 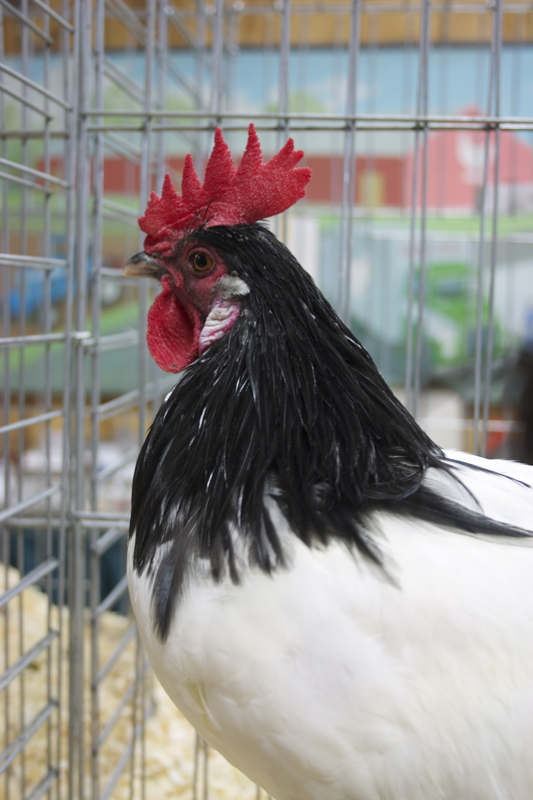 Events include horse and ox pulling, cattle and horse shows, tractor competitions, agricultural exhibits, and 4-H events. 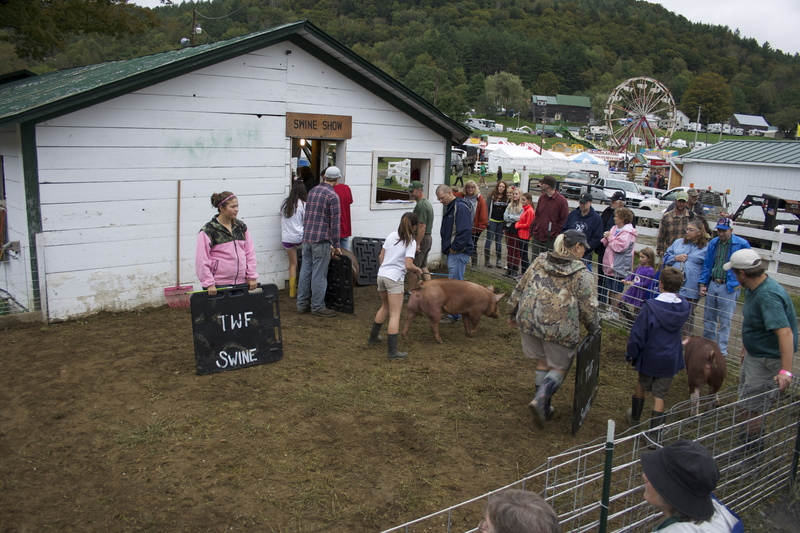 Many thousands of Vermonters visit this fair each year, and occasionally a few city slickers (even transplants from Maplewood, N.J.) manage to disguise themselves in mud boots, jeans, and Carhartt hoodies, all the better to sneak unnoticed into the fairgrounds. Hence the following several photos. Capricious brethren. 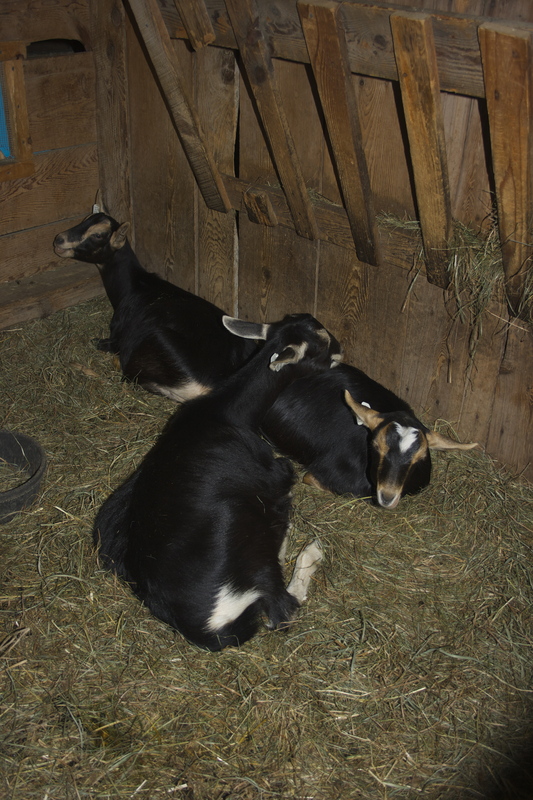 Next to a box of puppies or kittens, what could be cozier than a stall full of young goats? His Highness in captivity. Yet another self-impressed, arrogant male . . .
Li’l guys. 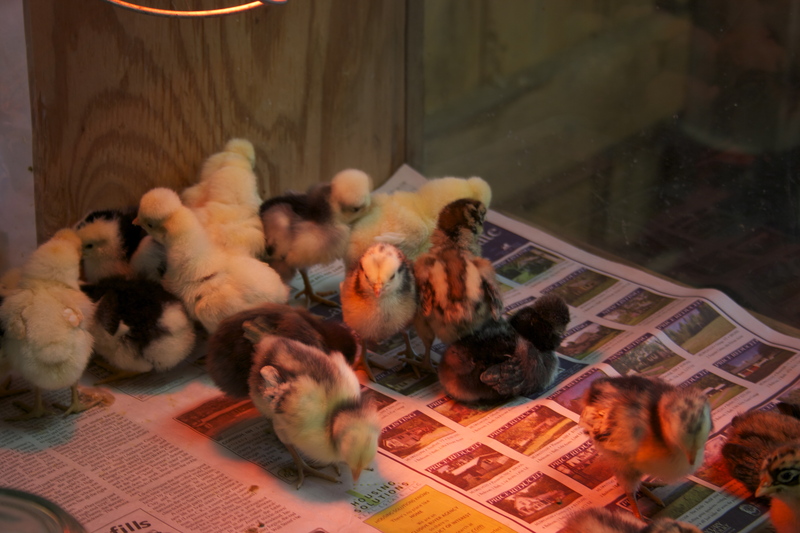 Perhaps some of his royal Highness’s many offspring? Big ‘uns. 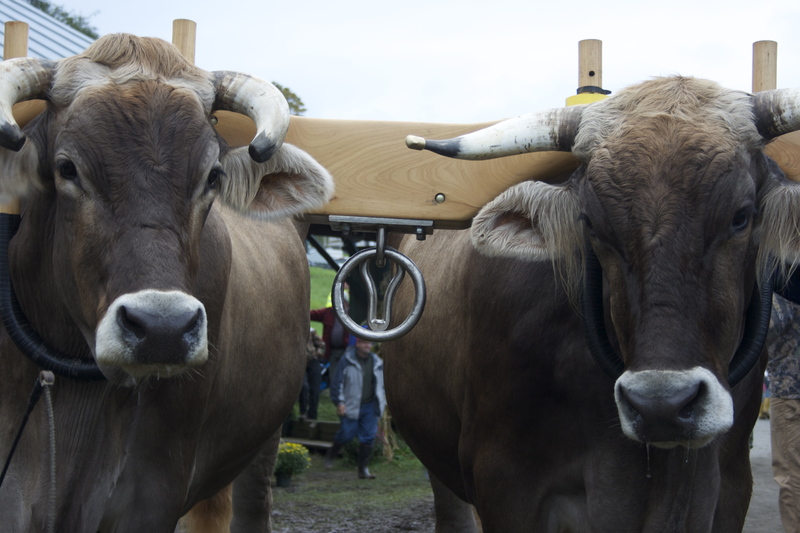 Since the man standing between these oxen is probably six feet tall, the oxen must measure at least twenty feet at the shoulder. Toto, I’ve a feeling we’re not in the New York metro area any more . . . 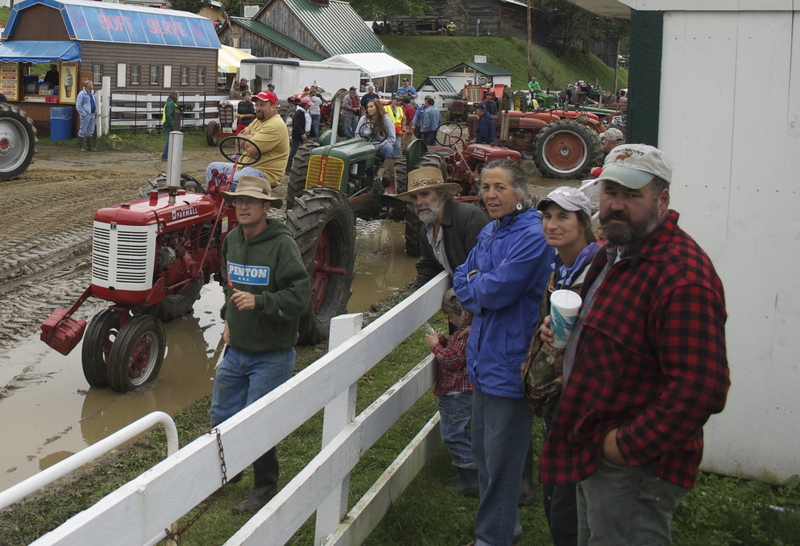 These folks are watching a tractor pull––farm machinery competing to drag heavy sledges. The man seated on the red McCormick tractor is Scott B., a friend and neighbor in our town. His college-age daughter is seated on a green John Deere just behind him. I found watching the watchers far more interesting and fun than watching the Event. for a safe, happy stay in Nairobi! I feel like I just had a little vacation in Vermont. Thanks. Thanks in turn for your comment. Definitely felt like an alternate reality, that fair. Lots of fun, though, and we found some tasty food – such as a very fine vegetable crepe – among all the lethal deep-fried everything.